Microblading is an artistic form of semi-permanent make-up that allows for each hair stroke to be individually placed in the skin to form the brow. This is done using a very fine blade to deposit pigment into the epidermis. We customize your brows to be the perfect shape, color, and fullness for your face shape. It is perfect for those who want to fully reconstruct, define, cover gaps or define the shape of their natural brow. The result? Gorgeous, natural looking eyebrows. 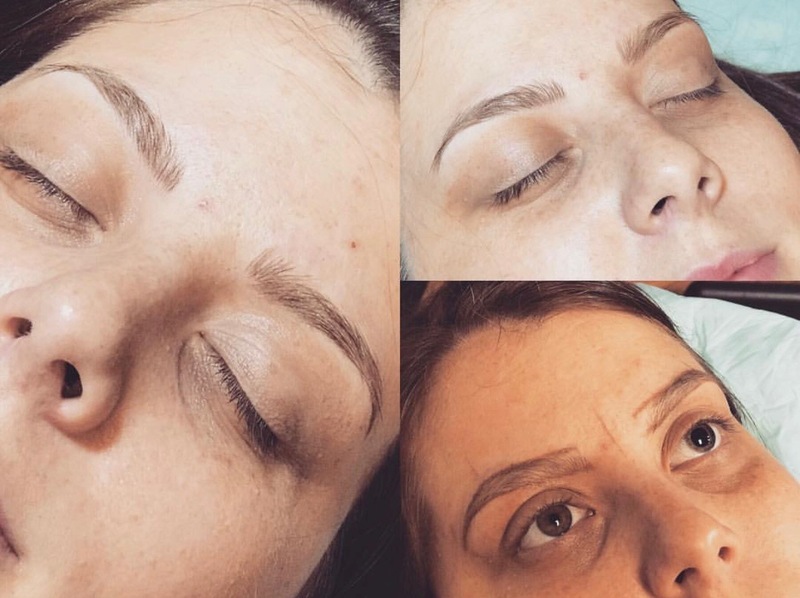 Microblading treatments are perfect for the following: Hair loss and lack of definition, Thin brows caused by years of over-tweezing, Chemotherapy or Alopecia, Scars, Lengthening short existing brows, Thickening thin brows, Correcting asymmetry, Active lifestyles, Trouble applying conventional makeup. Over time the color and definition of the strokes will fade. 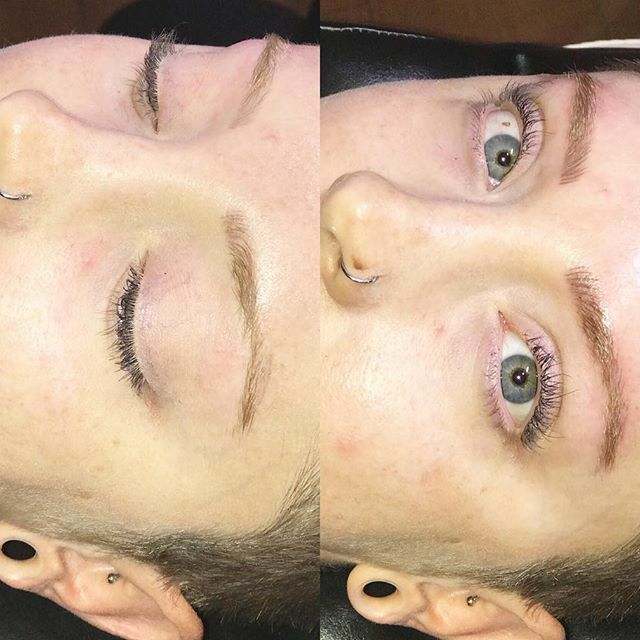 We recommended a color boost session every 6 months to keep your brows looking their best What is the difference between microblading and standard body tattooing? Similar to tattooing, microblading does not use a tattoo gun. Traditional body tattooing use electric tools and ink while microblading procedures involves pigments and a manual hand tool. The specialized tool allows individual strokes to be drawn one stoke at a time. Creating a natural-looking enhancement to your brows. 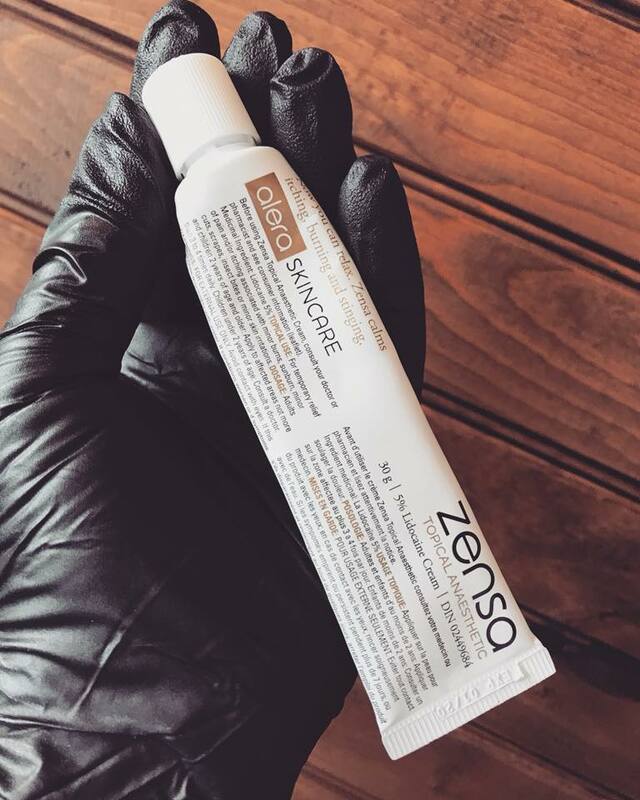 Results will verify depending on your skin type, ethnicity, health, skin integrity, sun exposure and resistance to pigment. As well as following proper aftercare. Can you correct problems with previous work done elsewhere? Microblading is best for clients without previous tattoo work. We would need for you to come in for the consultation to exam your brows before being able to confirm it can or cannot be done. 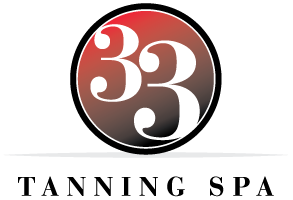 In the week before your appointment is it highly recommend that you avoid blood thinners, aspirin, alcohol or using retinol creams. 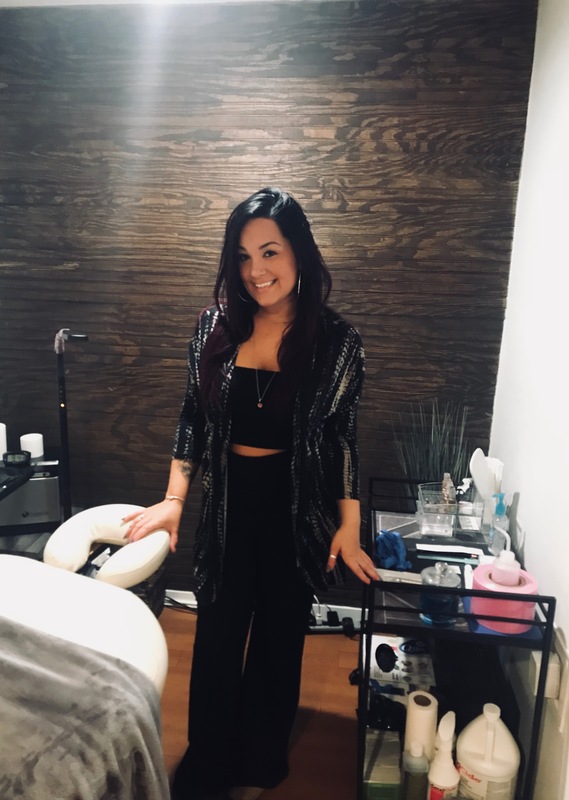 Shay is the Licensed Microblading Artist for 33 Tanning & Micro Spa and has been apart of the team since 2014. She graduated from Apopka High School in 2009 and began working in the Spa/Beauty Industry immediately after. She continues to peruse her dreams with a career based around her love for making people feel beautiful. 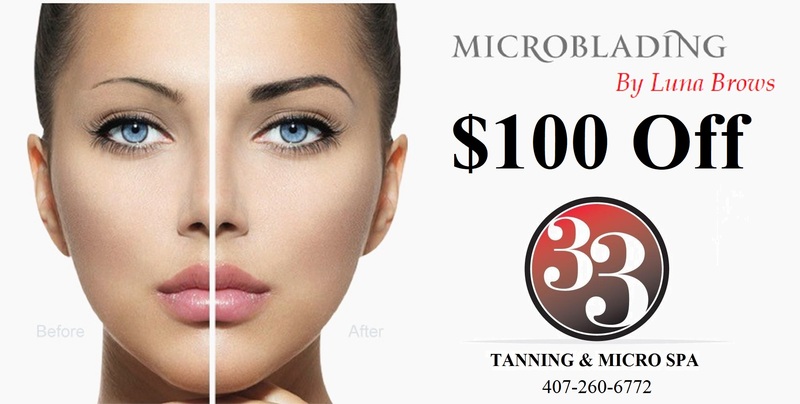 $400 - Initial Microblading Procedure includes your initial consultation, microblading procedure and complimentary 4 weeks touch up session to perfect the shape & add additional pigmentation that the skin did not retain. Microblading is a two-part process, the second session is necessary to complete your brows.